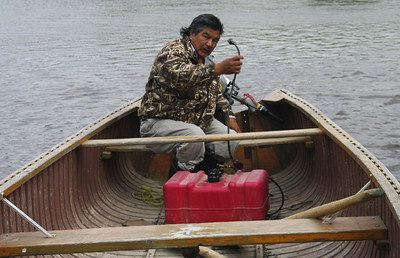 Photographs of First Nation people and their communities located in northern Ontario, Canada. 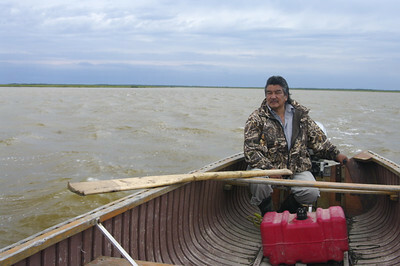 Suzanne Barnes (former Attawapiskat Lands + Resources Director). 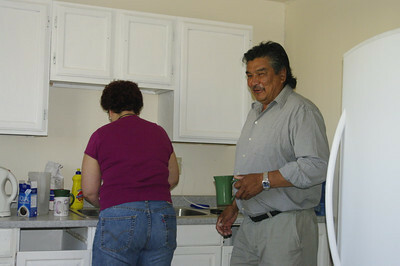 Suzanne Barnes (former Attawapiskat Lands and Resources Director) and former Chief Mike Carpenter. 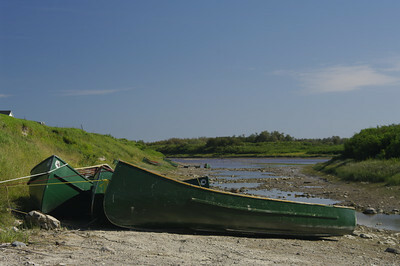 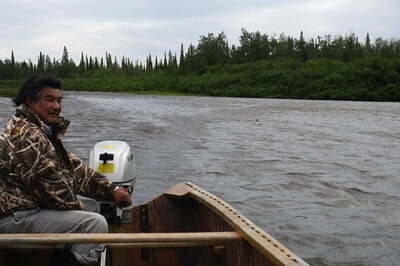 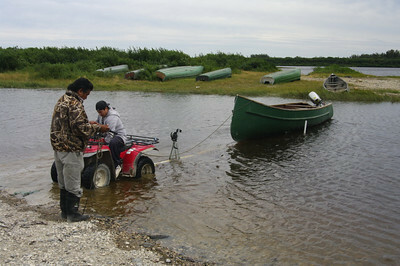 Mike Carpenter and his son prepare for the trip to James Bay. 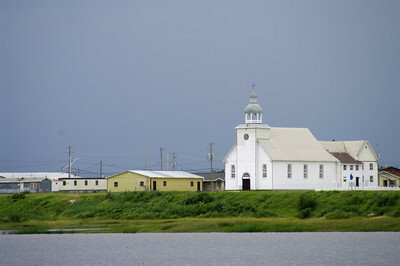 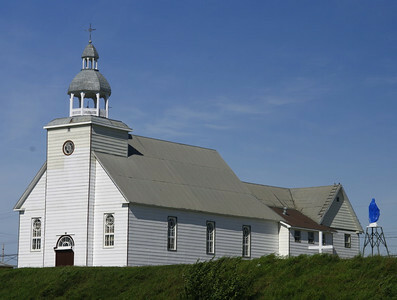 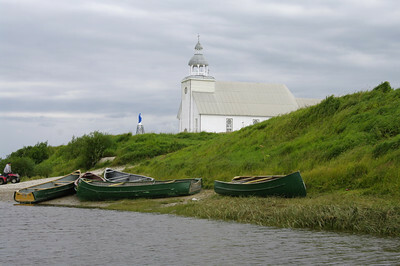 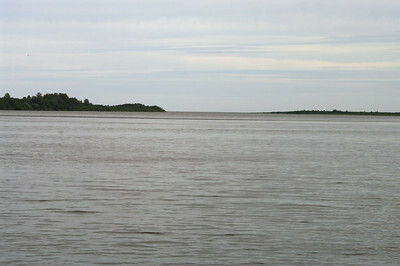 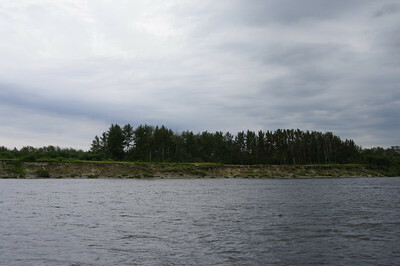 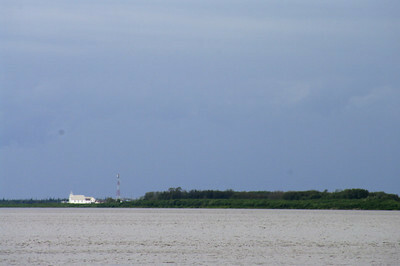 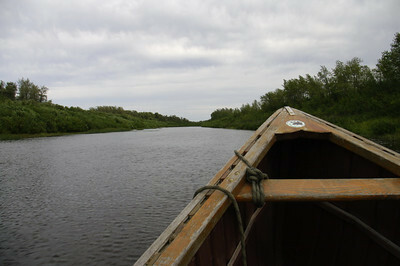 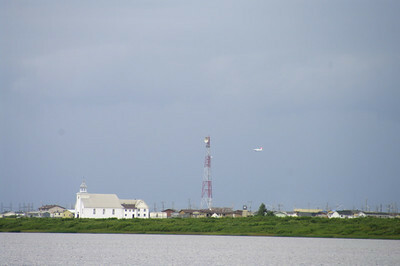 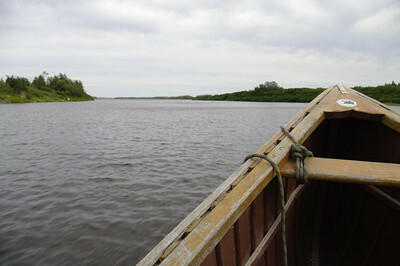 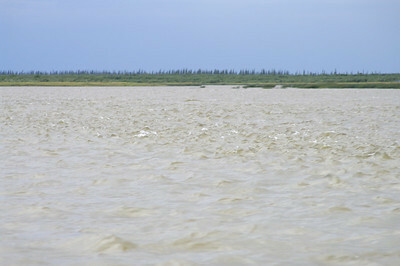 Looking east towards James Bay. 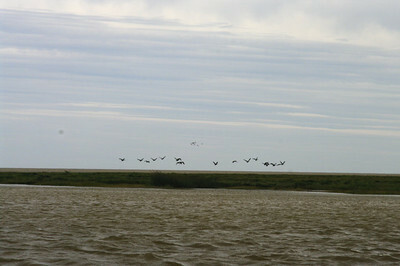 Geese, salt marsh, and James Bay in the background. 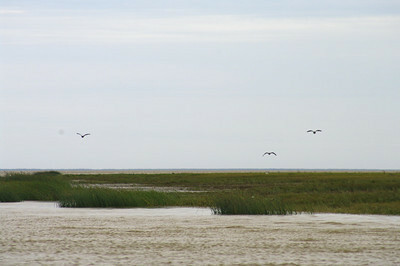 Geese, salt marsh, and James Bay (brown coloured) in the background. 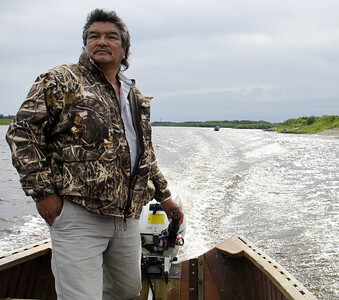 Former Chief Mike Carpenter on James Bay. 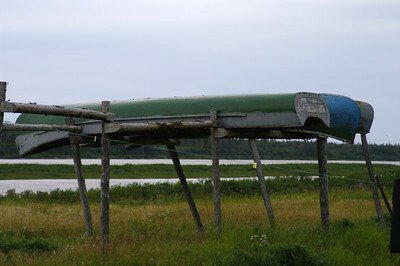 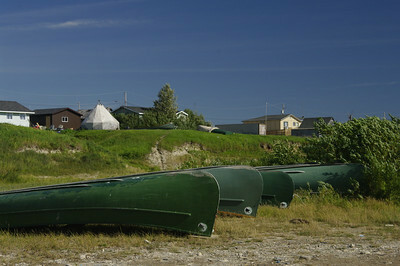 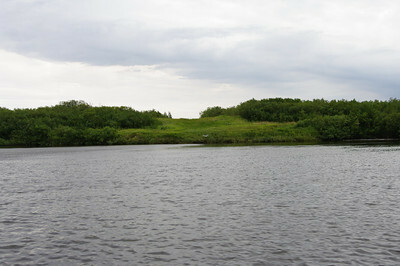 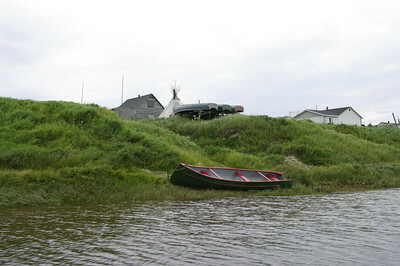 Pow Wow grounds on the island.